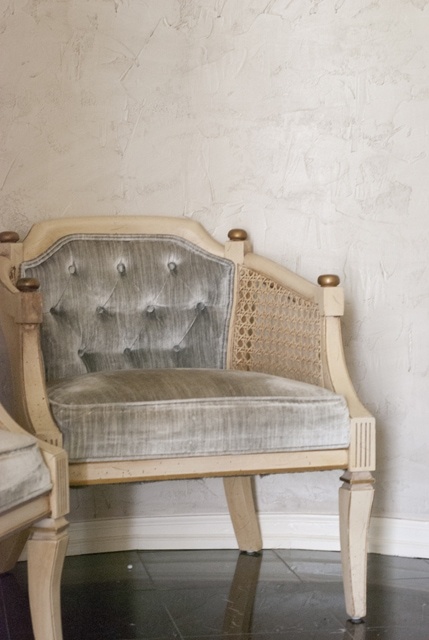 Have you ever found a pair of chairs for a great deal on Craigslist or a flea market and loved the lines of the chair but hated the color or pattern of the fabric? I’m raising my hand because I have. Well, I lived to tell the tale of the updating a pair of chairs and thought I’d share it with you all today. 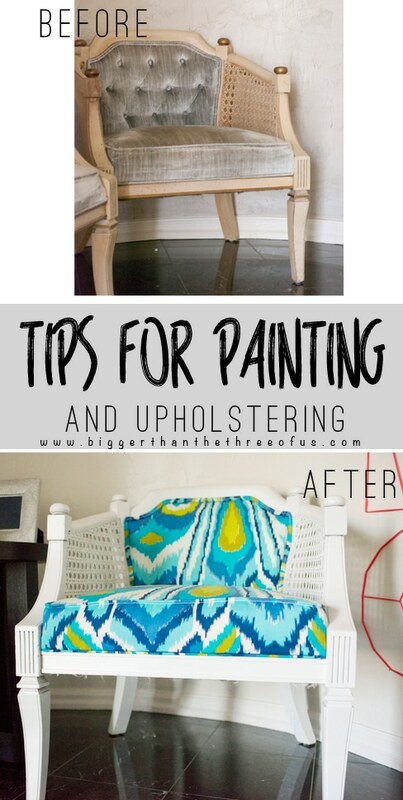 So, here’s my Tips for Painting and Upholstering Old Chairs. About six months ago, I found a pair of chairs on Craigslist for $60. The fabric was definitely dingy, but the chairs were extremely sturdy. Since moving in to this house, I’ve been on the lookout for affordable furniture that just needs a bit of love. These chairs totally fit the bill. 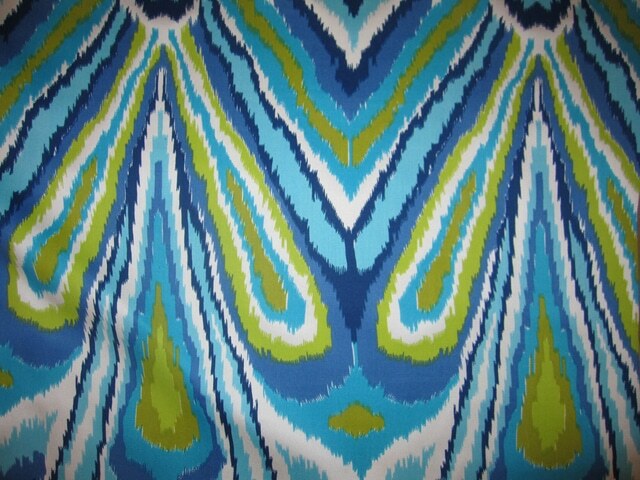 I found this great indoor/outdoor fabric and decided to go with it. They don’t have it where I ordered it but you can find the Trina Turk Peacock Fabric on Ebay. 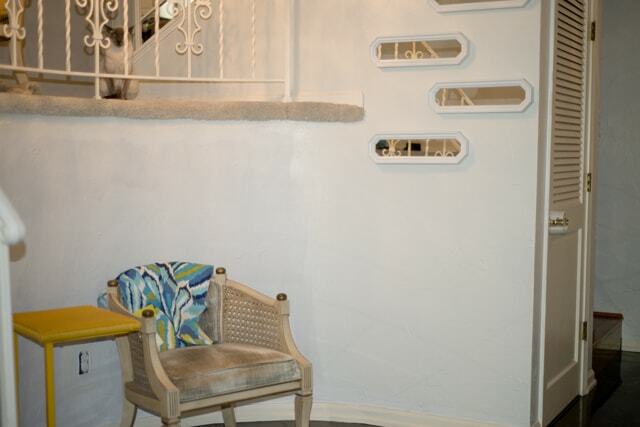 The color and movement of the fabric goes with what I was envisioning the entryway to end up looking like. I ended up paying about $70 per yard and ordered 2 1/2 yards. Definitely pretty steep, but cheaper than buying two new chairs. First things first, I prepped the chairs for fabric. I took all the upholstery off the chair and then cleaned the chair with a damp rag. 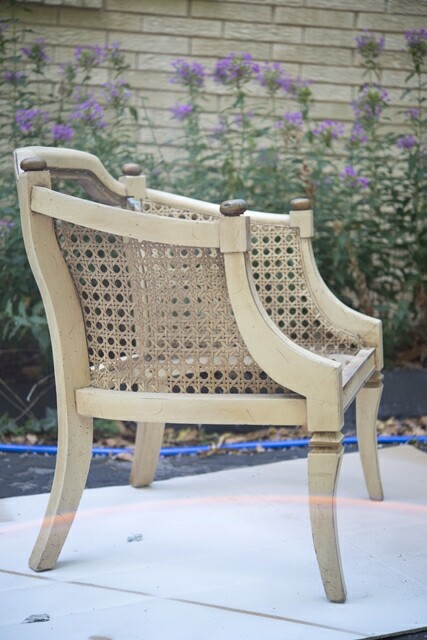 Next, I deglossed the chairs. I sprayed about three thin coats of Rustoleum White, Semi-Gloss. I let them dry for three days. Then I flipped them over, and gave the underneath a good coating. I enlisted my Grandma to help me with the fabric part of the chair update. 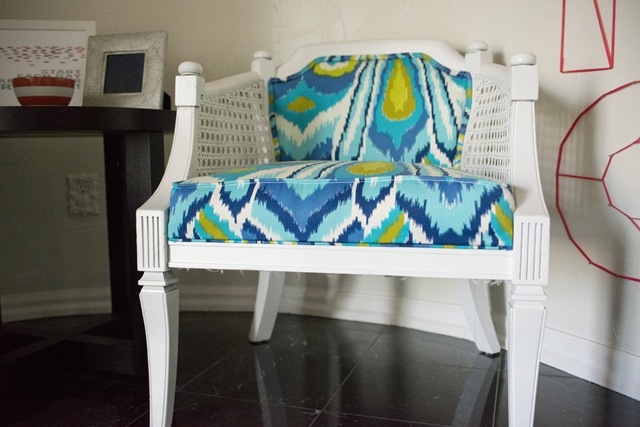 We used the old fabric as a guide and cut the new upholstery fabric to the same size as the old fabric pieces. 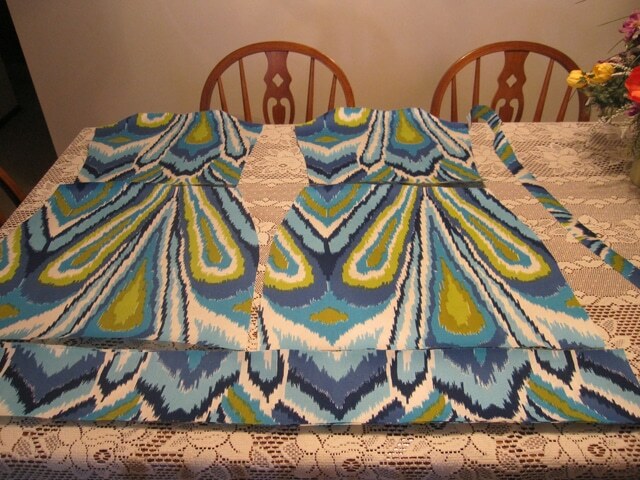 Then, we sewed piping for the the edges (again, based off the template of the old fabric pieces). 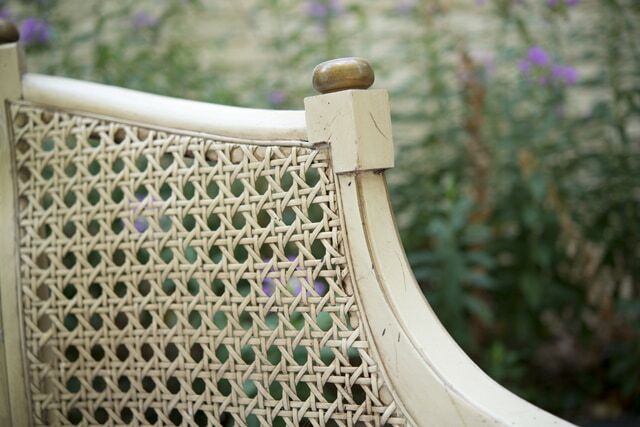 I had taken pictures of disassembling the chairs so I knew where the original staples for the upholstery went in. I used the pictures as a guide for reassembling the chairs with the new upholstery. Basically, I just used the hand stapler and stapled the fabric in where the old staples were stapled. I glued the piping around the edges to hide the staples and that was that. For my first time, I definitely think they turned out pretty great! *Even though there is only one shown, both of them look identical. So, I would definitely do this type of job again. I wouldn’t try any chairs that look harder than these and I wouldn’t buy expensive fabric. Buying the expensive fabric made me super nervous about cutting it and using it. If it were cheaper, I would have re-cut the pieces because they didn’t stretch as well as I would have wished.